THIRUVANANTHAPURAM: Additional Skill Acquisition Programme curriculum committee chairperson Jameela Begum has said studies show that only five percent of highly educated youth in the 20-24 age group had skills required for employment. Dr Begum was inaugurating the English literature professionals’ forum, E ProF, an initiative by Total English Solution (TES), for bringing together literature students and prospective employers to enhance candidates’ employability. 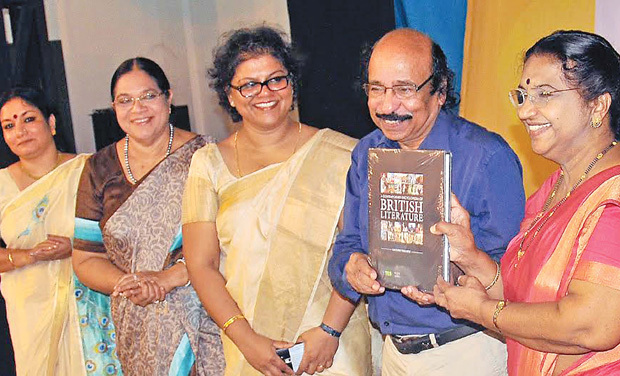 Poet Satchidanandan released the first volume of 'A Contemporary Encyclopaedia of World Literature', brought out by Dr. Kalyani Vallath, who heads TES. He said the encyclopaedia was the answer to a long-felt need for a student-friendly, comprehensive reference book, presenting English literary information in a modern, cybernetic style. Former emeritus professor of Kerala University, Dr. V. Rajakrishnan, stressed the relevance of studying world literature in these days of intolerance, chauvinism and xenophobia. Former Vice Chancellor of MG & Central Universities, Dr Jancy James, felicitated. The event was co-sponsored by Alliance Francais and Goethe Zentrum, whose stalls too drew scores of students, a testimony to the perennial appeal of the study of languages, a uniquely human pursuit.